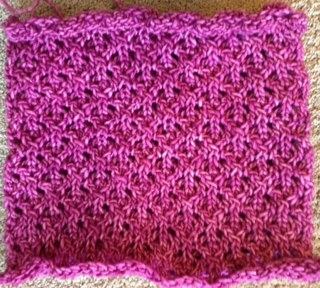 Due to three two-hour sessions today of General Conference: Malabrigo Mecha in Hollyhock, size 9 US needles, done. Two more sessions tomorrow. I was afraid it came out a little small (see picture), but once it hit the water it grew really nicely.